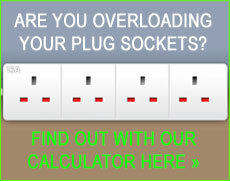 Why to choose us as your local Rickmansworth electrician? For all your electrical needs in the Rickmansworth WD3 and Hertfordshire area, dkp electrics are just a phone call away. We can supply a highly qualified electrician in Rickmansworth and surrounding areas in no time at all. We specialize in all aspects of electrical work and problem solving is a key service we regularly carry out. We are an NICEIC approved electrical company, so you know you�re in good hands when putting your trust in dkp electrics when it comes to the expertise required to safely complete any necessary electrical work. Rickmansworth, near Watford is a few miles outside of North West London and is one area we carry out a large amount of electrical work in. Should any wiring faults or issues of your concern arise, we regularly have electricians working in this area so rest assured that we can have trained staff with you in no time at all. One typical example of work we carry out would be for things like loft extensions or basement conversions. If you discover any electrical problems that need fixing or anything you're concerned about then it is better to give this your full attention. Don't ignore those electrical issues that come around often as no matter how small they may be, what started out as a little issue could escalate into something a lot more problematic for you later on. Another service we are proud to offer at here at dkp Electrics is energy saving services. If you need some help or advice in how you can effectively reduce your energy bills or maybe you are interested in having your house rewired? If this relates to your requirements then our highly skilled team will be able to assist you with whatever you may need. With expensive gas and electricity prices set to stay, energy saving is one service we would highly recommend to those trying to save some money. We also offer a 24 hour emergency call out service, so you won't need to worry if you do happen to stumble across any electrical problems because we can have an experienced team of electricians in Rickmansworth, Watford and all over Hertfordshire. To discuss your electrical needs with an electrician in Rickmansworth then contact us today for a free quote.